3F Construction is a Chicago based general contractor. We have experience renovating and building multifamily and commercial buildings throughout the City. Since 2010, 3F has renovated over 2,000 residential units in Chicago. As a result, some of the most sophisticated developers in the city trust us to work on their properties. 3F can tackle anything from ground-up construction to adaptive reuse to high volume unit renovations. Read how our approach is different. 3F Construction is a “one-stop shop” general contractor based on Chicago. We offer a range of construction services from pre-construction planning through general contracting or construction management. We specialize in programmatic apartment unit renovations and common area upgrades. 3F can tackle the largest assignments, renovating up to 50 units a month in a single building. Have a look at some of our recently completed projects. Naturally Occurring Affordable Housing or NOAH is a recently coined term used to describe unsubsidized housing that is affordable and already exists. 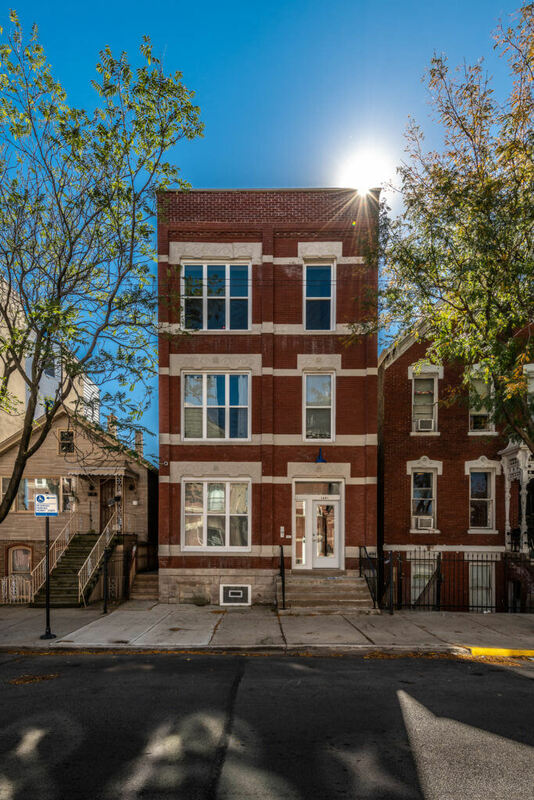 Over the last 10 years, 3F Construction has focused on buying and renovating NOAH in markets throughout Chicago, including Pilsen, Humboldt Park, Logan Square, Avondale, and others. These neighborhoods have great housing stock and are close to downtown Chicago making them an ideal place to live. And rent for a gut renovated apartment in these markets is substantially less than new construction housing. As a Chicago based general contractor, 3F Construction specializes in renovating and owning NOAH in Chicago. We are the largest owner of NOAH in Pilsen and target our general contracting services in this market. 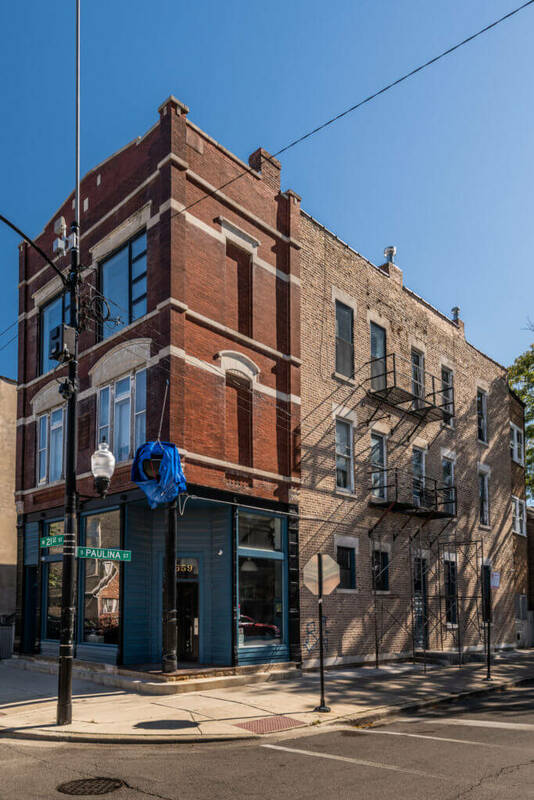 Having renovated over 30 multifamily buildings in Pilsen over the last three years, 3F is arguably the most experienced Pilsen General Contractor in Chicago. Check out some of the properties we have repositioned below. 3F provides General Contracting services to Chicago based institutional developers who are looking to reposition large multifamily assets. With a strong background in renovating scattered site single family homes throughout Chicago, 3F Construction has a “production machine” that can renovate up to 50 apartment units a month in a single multifamily building. Our approach to apartment renovation is different than other Chicago General Contractors. Taking a cue from production home builders, 3F handles all the material procurement for a project. This enables us to better control the schedule and eliminate multiple levels of materials markup. This allows 3F to negotiate volume discounts with manufacturers and distributors, further driving down costs. By handling material procurement, 3F is able to hire highly skilled crews of labor to complete the unit renovations. This skilled labor generally does not have home office overhead which keeps down the cost of the work. With skilled labor in place and material procurement complete,3F handles all on-site material handling, inventory control and bundling. We employ laborers to receive deliveries, stock the inventory, and then deliver “kits” of materials to each unit. We keep the cost of materials down by leveraging national buying relationships and volume discounts. By handling the cashflow requirements of buying materials in volume, 3F can hire multiple small crews of skilled labor to perform the work. These crews do not have home office overhead and charge a lower hours rate than larger, established subcontractors. Less skilled labor employed by 3F handles all the on-site material management. This allows the skilled labor to walk into a unit with all the necessary materials available to start work. Each piece of the executing sequence is optimized and performed by the group of people best suited for the task. 1. 3F procures building materials directly to avoid multiple layers of markup. 2. Overseas material suppliers sell and ship directly to 3F to keep costs down. 3. US-based manufacturers and distributors sell in volume directly to 3F. 4. Less skilled labor is used on-site to receive, handle, bundle, and deliver materials where they are needed. 5. 3F hires a pool of skilled labor to self-perform carpentry, flooring, tile, and drywall. MEP trades are subcontracted out. 6. Kitchen cabinets are received in knockdown form and assembled on-site. This reduces handling and transportation costs. 7. We evaluate kitchen dimensions to minimize the amount of countertop waste. A few inches of unnecessary countertop space can dramatically increase waste and cost. 8. 3F puts an institutional wrapper around a fragmented and chaotic process. This allows clients to focus on the big picture while 3F manages the details. 3F Construction is a Chicago general contractor with significant project experience renovating and building Multifamily, Commercial, Mixed-use, and Single Family projects. In addition, 3F specializes in high volume apartment unit renovation programs. If you need to renovate 50 apartment units a month, contact us.